We're excited to announce a new guest blog series, brought to you by Foundation Directory Online. On a monthly basis we want to share with you insights from industry experts that we think are essential to fundraising success. Topics could include how to approach federal funding, how to talk to funders, how to diversify your funding sources, and more! First up? This post from Harbor Compliance, a trusted source used by 10,000+ organizations to ensure their licensing is in order. See the answers to the top 5 questions they receive around grant solicitation below, and make a plan to make sure your organization stays compliant with each grant application! Did you know that applying for grant funding is considered soliciting in nearly all states? Yes, you heard us right. Before you write that grant application – or hire someone to write it for you – be sure you understand state charitable registration requirements! Below, we break down five common questions surrounding grant solicitation. Does applying for grant funding mean we are soliciting? Forty-one states require registration for nonprofits that solicit contributions within their borders. “Soliciting” takes place in many forms: mail, email, online, special events, and more. What might surprise you is that in most states, applying for grant funding is also considered soliciting. Generally, nonprofits are required to register prior to soliciting in most states. That means if you plan to apply for a grant, you must look at state registration requirements before you consider applying. Additionally, many grantmakers require applicants to submit proof of state registration with their request for funding. By registering properly, you not only help ensure compliance with state laws, but also demonstrate a higher sense of responsibility to the grantmaker. We apply for grant funding. Now where do we register? Registration generally takes place where the foundation giving the grant is located, and not necessarily where your organization operates. For example, if you run a Pennsylvania nonprofit, you are probably registered with the Charities Bureau of the Pennsylvania Department of State. However, by seeking grant funding from a New York foundation, you generally must comply with the solicitation laws of New York State as well. Check where the grantmaker is located, and whether that state has a registration requirement. See if the grantmaker has any additional compliance requirements, like a copy of your IRS determination letter or state charity license. Create a plan to become compliant with applicable requirements, including foreign qualifying the nonprofit corporation and appointing a registered agent where required. Keep in mind, most charities solicit beyond just grants. Sending mail, email newsletters, and even having a “Donate Now” button on your website can trigger registration requirements nationwide. Proactive registration not only helps you achieve full fundraising compliance – it gives you total peace of mind, too. Does the grant amount affect the requirement to register? In most states, the act of solicitation triggers registration – not the amount of the grant. Stick to the mantra, “If you intend to apply, you have to comply.” In some states, your organization might be exempt from filing a full registration to solicit based on your total revenue or activities. However, the grant amount may impact your need to file if it is so large that your organization no longer qualifies for an exemption. Again, it’s important to understand how state requirements apply to your organization. Registration requirements also do not depend on whether you even receive the grant. As you probably know, merely applying for grant funding does not guarantee that you will receive it. Registering to solicit in order to apply for a grant runs a certain amount of risk and reward. However, by registering proactively, you can quickly seek out the next opportunity and be prepared when it emerges. What if we use a professional grant writer to help us? Using a professional fundraiser or fundraising consultant in any capacity, including applying for grants, may trigger additional registration requirements for both parties. For example, in Louisiana, nonprofits are generally not required to register unless they use a professional fundraiser. In many states, professional fundraisers and fundraising consultants must also register and maintain their own licenses. Without the proper credentials, both your nonprofit and the professional fundraiser or fundraising consultant can face penalties for noncompliance. 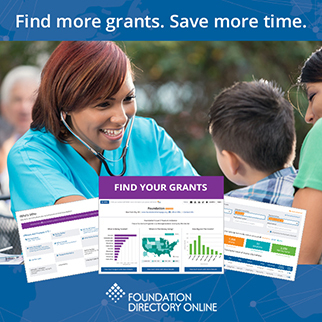 At the same time, your nonprofit may be confronted with an inflexible deadline to become registered – or you could lose the grant opportunity altogether. Don’t let the funds you spend on a grant writer go to waste. Be sure you and your professional are compliant prior to engaging with them. What’s the best way to manage compliance? Whether you apply for grants in one state or all 41, you must comply with various state charity registration requirements. Before you solicit, be sure to research state requirements, budget for the time and cost of registration, and take action to get registered proactively in each state where required. Once you become registered, develop a system to manage and submit your renewals on time. Ultimately, choosing compliance confirms your credibility to grantmakers and donors alike, and allows you to solicit without borders. Keeping up with requirements across multiple states can slow you down and divert time and energy from pursuing your organization’s mission. Harbor Compliance provides full-service charitable solicitation management to accurately keep track of the research, application, monitoring, and renewal of your registrations in each state. The empowers you to focus on what matters most: meeting your nonprofit’s mission. Contact Harbor Compliance today to strengthen your mission and fundraising efforts. Kim O’Brien, Editor for Harbor Compliance, brings a decade of news, public relations, and lobbying experience to help nonprofits navigate fundraising in the digital age. Headquartered in Lancaster, Pennsylvania, Harbor Compliance partners with businesses and nonprofits in every state and over 25 countries to help solve the most challenging registration requirements. Harbor Compliance’s clients range from the largest organizations in the country to fast-growth startups.